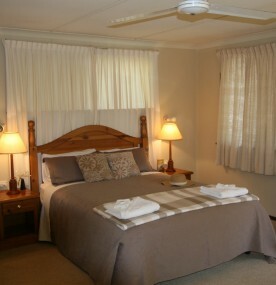 Relax in the comfort of Moondyne’s large guest bedrooms. Each of the 9 bedrooms sleeps up to 3 people, has an ensuite bathroom, tea/coffee making facilities, its own balcony entrance and spectacular views across the property. A tenth, much larger bedroom located adjacent to the swimming pool has 4 beds and sleeps up to 5 people.